During a very carefully executed distillation process, essential oils are extracted from leaves, flowers, seeds, roots and resins. The unique combination of harvested plants with scientific processes ensures essential oils retain 100% purity. Imagine smelling a vibrant garden of roses in a single breath and that’s what you’ll find in Rose Essential oil. An entire rose bush might only produce a single drop of essential oil during distillation, creating highly concentrated oil. In a careful process of boiling fresh plants, steam is captured and transferred to a container. Essential oil slowly separates from the water and is extracted for bottling. 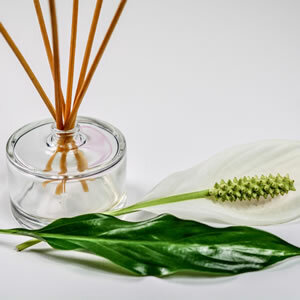 Although most are clear liquids, some essential oils have a warm amber coloring such as Roman Chamomile and Patchouli. Only the essence of the plant is caught in our bottles, making the aroma and usage more potent and remarkably, more beneficial. For centuries, civilizations have utilized the benefits of essential oils. Myrrh was used by the Ancient Grecians and Romans to heal wounds and as act an anti-inflammatory. During the outbreak of the Bubonic Plague in the 12th Century, Cinnamon, Ginger and Sandalwood served as lifesaving antibiotics. In the 1920s, Famous French Chemist Rene-Maurice Gattefosse was badly burned in an accident in his lab and observed that by dipping his skin into Lavender, he eliminated infection and prevented scarring. Not only are essential oils highly therapeutic, they have antiseptic, anti-inflammatory, antibacterial, antifungal and anti-parasitic properties. With hundreds of vitamins and organic compounds, essential oils act as adaptogens that promote homeostasis. Many work on the peripheral and ventral nervous system. 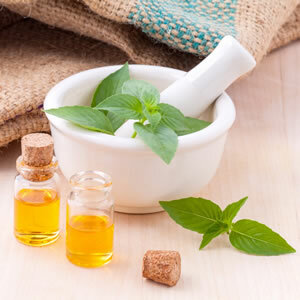 Essential oils are non-greasy and require only a few drops to have tremendous effects on emotional wellbeing, physical health or spiritual mindfulness. Many use essential oils to steal moments away to relax and refresh while others embrace essential oils for more mental alertness and lucidity when feeling lethargic or clouded. The healing and holistic medicinal properties of essential oils have been known to treat everything from minor colds to diabetes. Click below for a free ebook on Essential Oils for Beginners. Hours of Operation: 11am-6pm daily; First visit by appointment only.